The Dead Sea and the Judean Desert offer some of the most breathtaking landscapes on our planet. This region bore witness to a long list of historic events: thousands of years ago warriors and merchants traveled the “King’s Highway”, mentioned in the Book of Numbers (Numbers 20:17, 21:22) as the Israelites sought passage and were refused. 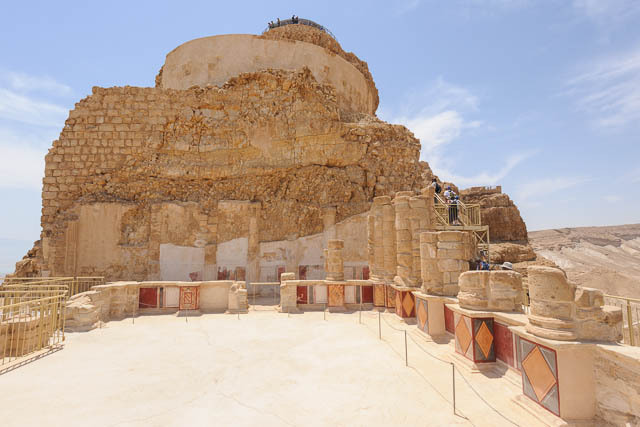 Later the Hasmoneans built their palaces in the desert, expanded and enlarged by Herod the Great. In fact, when Herod fled Antigonos and the Persians, he took his family and some 500 concubines into the Judean desert. Nearby Herods palaces lived a community of Essenes, also known as the “Judean desert sect”, in strict asceticism. Nearly 2,000 years later the Essenes gained sudden fame with the discovery of the Dead Sea Scrolls, which include the earliest copies of the Hebrew bible. Jesus was baptized by John the Baptist just north of the Dead Sea, at the Jordan river. He then spent 40 days in the Judean desert. Later on this was reason enough for legions of monks to seek spiritual enlightenment in hermit caves and monasteries, some of which exist until this day. 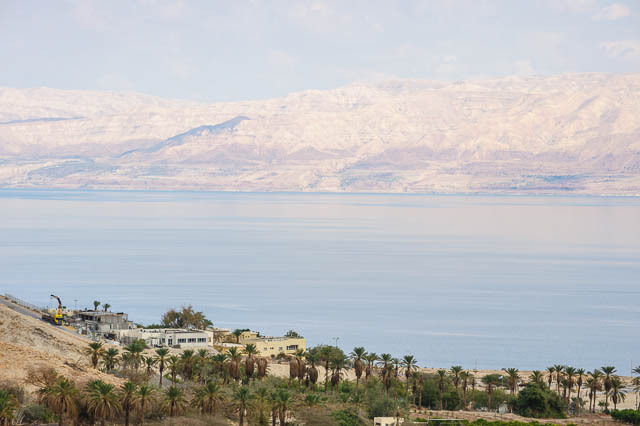 The Dead Sea – the lowest point on earth – offers special healing properties through its high salt content and the reduced UV radiation 1350 feet (400m) below sea level. Who if not Cleopatra would know about the beautifying properties of the mysterious persimmon plant grown in Ein Gedi?! Reason enough to make her lover Marc Anthony confiscate the persimmon groves for her. We start our journey with a view from Mount Scopus on the Judean desert that stretches to the East. Next is the “Good Samaritan”, today a mosaics museum. 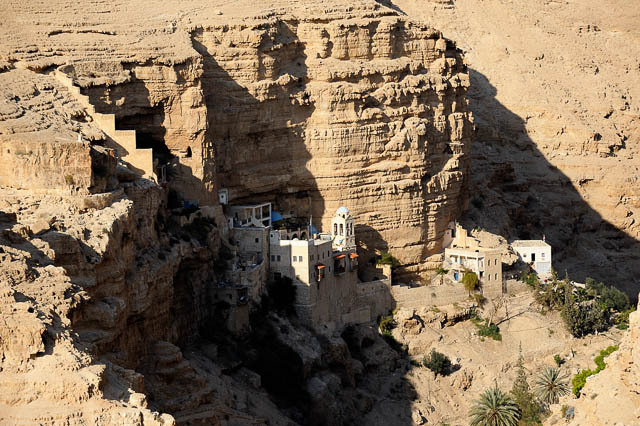 We drive to the outlook across the St. George monastery, and then down to the Dead Sea and on to the Ein Gedi nature reserve, a green oasis in the otherwise barren desert landscape. After a short hike to the David fall and back we stop at Ein Bokek to bathe in the Dead Sea (don’t forget your favorite newspaper for the obligatory Dead Sea photo), followed by a lunch break. 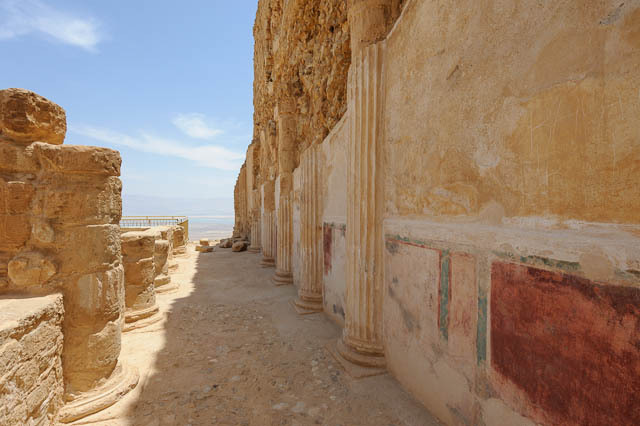 Next on the itinerary is a cable car ride up to Masada, where we visit Herod’s palace, the Roman bath, and the synagogue to recall the story of the last resistance to the Roman oppression. We then see the south-eastern swimming pool near the Roman ramp, and visit the southern palace. From Masada we drive back to Jerusalem via the same route we came, or via Arad to Tel Aviv. 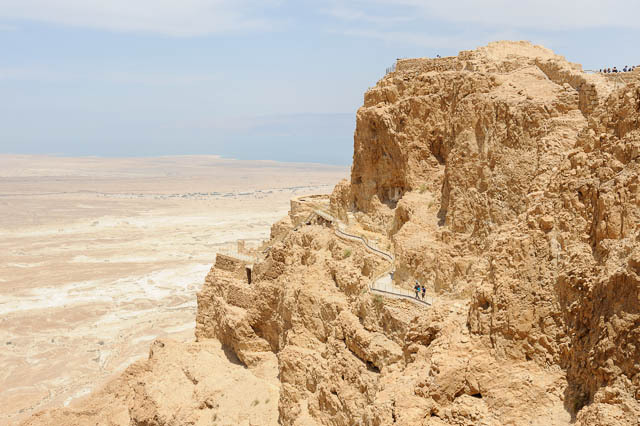 Note: Instead of visiting the Good Samaritan, we can stop at Qumran, the site where the Dead Sea scrolls – the oldest texts from the Bible – were discovered.